It has been a long time since my last post. It has been busy lately, with Easter, celebrations and chocolate bunnies, and getting ourselves ready for our trip in the summer, I haven't have time to sit and write. Another reason why I have been MIA is because my teething shop "Bayi and Gigi" has really grown in the last two months, meaning I am mailing packages once or twice a week. It's hard at times to be a stay-at-home mother with a growing business, but I have no complaints. I am over the moon that more and more mothers are buying my products for their babies. I feel so honor to think that a precious baby will play with my teething necklace to soothe the gums. Now for this post. I have been wanting to share our bedtime routine, which is nothing out of this world, but I also want to share some tips. And as a disclaimer, I am not an expert in bedtime or baby sleep. This is just my own experience with Matias, and what has been working lately for us and him. Remember that babies are unique, so maybe one thing that works for us, might not actually work for your baby. These 10 things are a list of what we do for Matias' sleep because I get asked a lot by other moms, and maybe one thing can actually work for you. If you have more tips or ideas to improve this post, please share, I am always looking for new ideas. 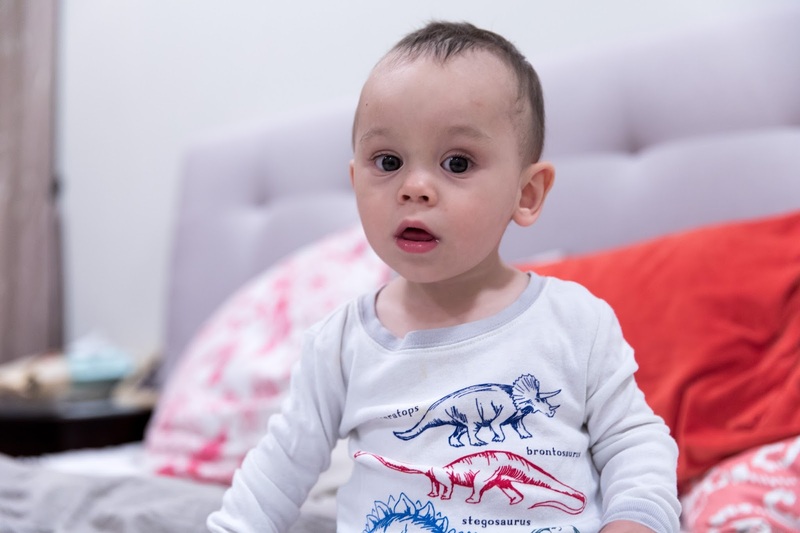 Also, if you are reading this post, and either you don't have a baby, you kids are older enough to sleep by themselves, or you are not interesting at all, you are very welcome to keep reading or check out these cute photos of Matias at the park. 1. The first thing we noticed was important for Matias' night sleep was to keep a schedule for naps and feedings. 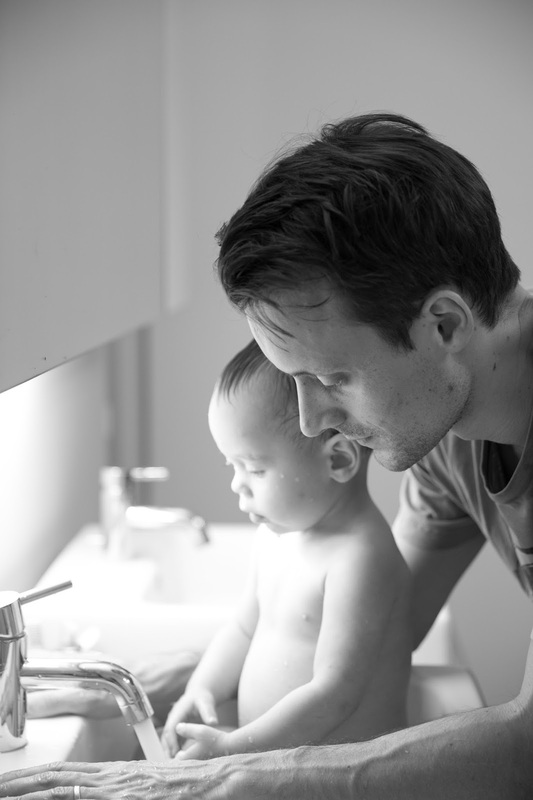 The days he couldn't go to sleep on his own at night, or cried a little longer, were usually the days his naps were all too short, too long or just mixed up. Try to keep with the schedule even if you are in holiday. 2. During the day and before dinner time, I try to keep Matias active. We go to some local classes around home, such as The Little Gym, swimming class, and music class. I also bring him to the play area at our condo so he can play with his friends and interact with people his size. 3. Most of the nights we have an early dinner together as a family. This is around 630pm, sometimes though, Matias has his meal first and Gavin and I eat after, depends if we have finished preparing our dinner or not. After Matias eats, it is time for Matias and Gavin to play together and bond for 20 to 30 minutes. Since Gavin doesn't get to spend much time during the day with him, this is the time for them two. 4. 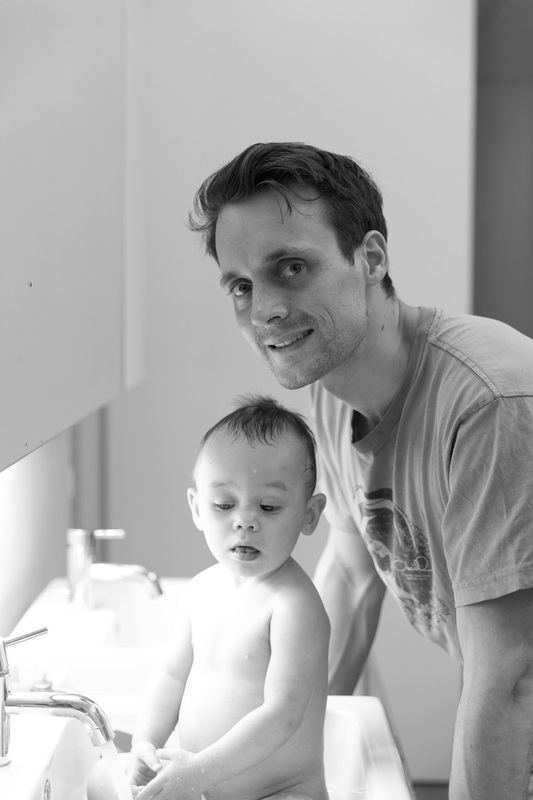 Since he was a newborn, we designed this bedtime routine which has worked well for us. After playing for a bit, it is time for Matias to get a bath. After sweating, playing, and eating, getting clean at night is a must. He loves bath time, and could easily stay there for an hour or more. 5. After bath time, we take him to our bed for pajamas and lotion. Usually the days he goes to the pool I try to moisturize his skin so it doesn't dry out. 6. After he is all ready in pajamas, we take him to his room where he drinks his milk, while his dad reads him books. This is very new, since before he used to drink his milk and read a book on our bed, and he fell asleep cuddling me. We decided a few weeks back to introduce him to his own crib, and get him to sleep on his own. For our sake as parents, and a couple, this has been the correct decision although it wasn't an easy one. He had a few nights where he cried, which is truly and devastating sad, but at the moment he knows the routine of milk, books, and then sleeping in his crib. 7. Once all books are done, I say "Buenas Noches" (good night) and Gavin gets him in his crib after a few sweet words, that I have no idea what he is telling Matias. We leave music playing just to soothe him, and so he doesn't hear the noises outside his room. 8. One important thing I can share is that you must stay consistent with the plan. Try to talk with your partner/spouse before changing anything in the routine, and see how that change works for the family. I remember one night Matias woke up way too early than his normal time, and I had no idea if I should keep him in his room, or bring him with me to our bed. 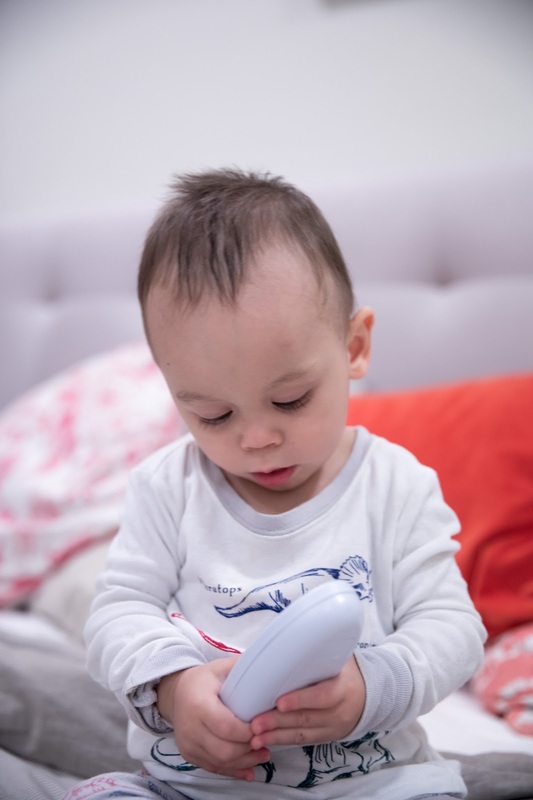 It is important as well to keep with the routine because babies learn from the repetition and at the end they understand what is coming next rather than feeling anxious because they don't know what is coming next. 9. Similar to #8, you need to try and keep trying. If you made an error on the way, that's ok, tomorrow is another day to try and to succeed in the bedtime routine. At times I did feel like the worst mom just because I was choosing to keep him in his crib rather than sleeping with me. The mother guilt hits you hard at this time. But you will see how your baby will be happy at night once he understands the routine, and will fall asleep once you but him/her in the crib. 10. Last but not least, learn from your baby. If you see your baby is getting fuzzy but its too early for the bedtime routine, maybe the last nap was too early. Babies have their own way to tell us how they are feeling. Now I easily know when Matias is ready for his milk and nap just by seeing how he acts around me, he gets more sensitive by any change, and usually is following me around. Again, this is my first baby, and I am learning from this experience and from other moms. If you have any question or disagree with me, please please share with me. Hope this helps any sleepy mom out there.